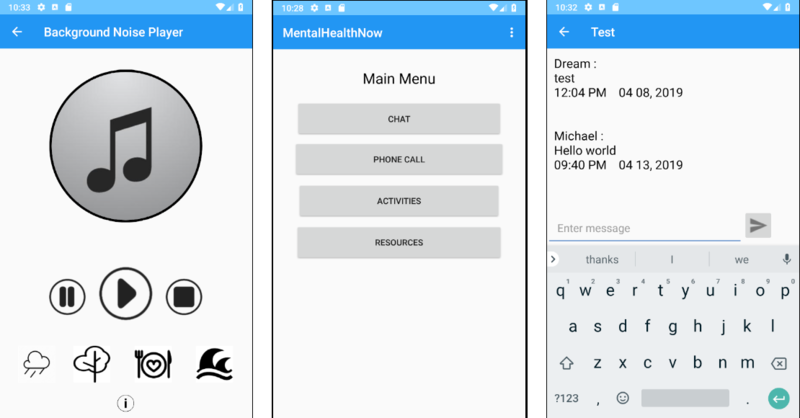 This app is aimed to help students find a different means to contact professionals about their mental health as well as provide various activities for the students to do, as well as provide another avenue of emergency contact if needed. The team members for this project are Nikhila Cheepurupalli, Kristeen Ginn, Mackenzie West, and Michael Whitehead. Nikhila Cheepurupalli, Mackenzie West, Michael Whitehead, Kristeen Ginn.